This product is available at Ebay, Banggood, Amazon.com, AliExpress. 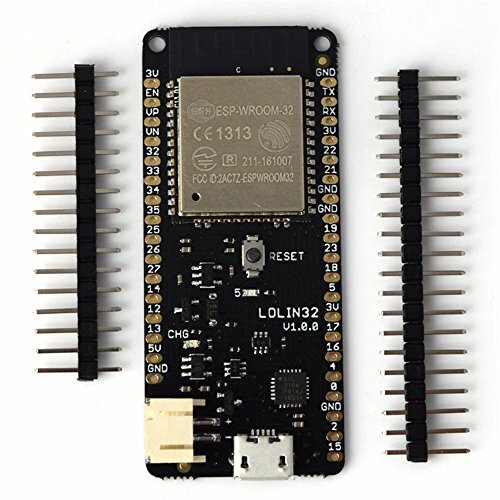 At ebay.com you can purchase 4 MB Flash WEMOS Lolin32 V1.0.0 WIFI & Bluetooth Card Based ESP-32 ESP-WROOM-32 for only $6.71, which is 48% less than the cost in Amazon.com ($12.88). 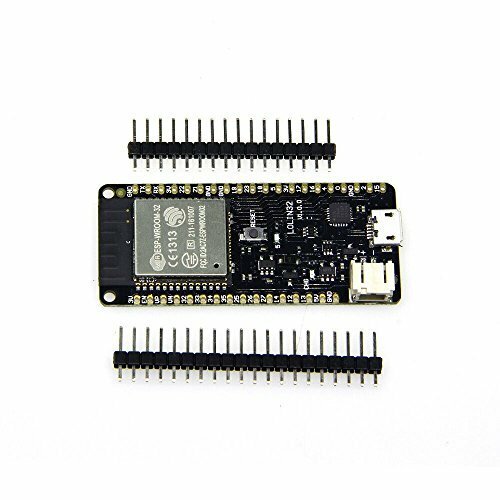 The lowest price of Diymore 4 MB Flash WEMOS D1 Lolin32 V1.0.0 WIFI Bluetooth Development Board Based on ESP32 ESP WROOM 32 Dual Core Mode CPU was obtained on 10 February 2019 2 h 13 min. The Wemos LoLin32 is a development board built around the Espressif ESP-WROOM-32 microcontroller. It boasts 4MB of memory and offers WiFi and Bluetooth connectivity. The Wemos LoLin32 has the particularity to propose a connector for LiPo battery. The connector is JST XH2-2.54mm. It has a key that prevents reverse polarity. Charging the battery and programming will be done using the usual micro-USB connector. Unlike the first ESP32 development cards, this card developed by Wemos.cc is narrower. It leaves a row of connectors on each side of the board free on the breadboard. Security WEP, WPA / WPA2 PSK / Enterprise.